Xiaomi’s wearable brand, Huami, has unveiled the much-awaited smartwatch it has been teasing on social media over the past few weeks. 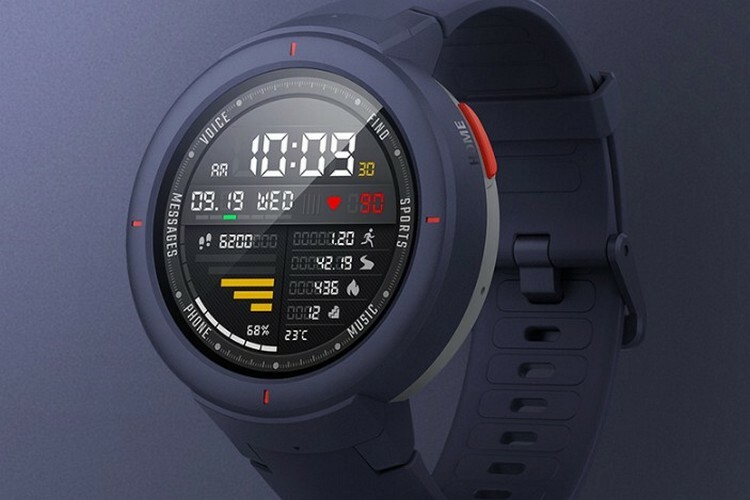 Named Amazfit Verge instead of the rumored Amazfit X, the device has been priced at 799 yuan (around $115, Rs. 8,400) and comes with a bunch of sensors, including a heart rate monitor (PPG), an NFC chip and built-in GPS. Alongside the Verge, Huami also announced a bunch of other products, including the Health Band 1S and a wearable-oriented SoC called Huangshan No. 1. While the Verge comes with a price of 799 yuan (around Rs. 8,400, $115) while the Health Band 1S carries a 699 yuan (around Rs. 7,300, $100) price-tag. The Verge features a 1.3-inch (360 x 360 pixels) AMOLED display with Corning Gorilla Glass 3 protection. It’s made out of reinforced plastic and got silicone straps that are easy to remove and replace. It comes in a 42mm form-factor and weighs just 46 grams. The device is powered by a 1.2GHz dual-core processor and comes with 512MB of RAM, 4GB of eMMC storage. Connectivity options on the Verge include Bluetooth 4.0 LE and Wi-Fi 802.11b/g, and it is compatible with devices running Android 4.4 KitKat or later, as well as iPhones running iOS 9.0 or later. 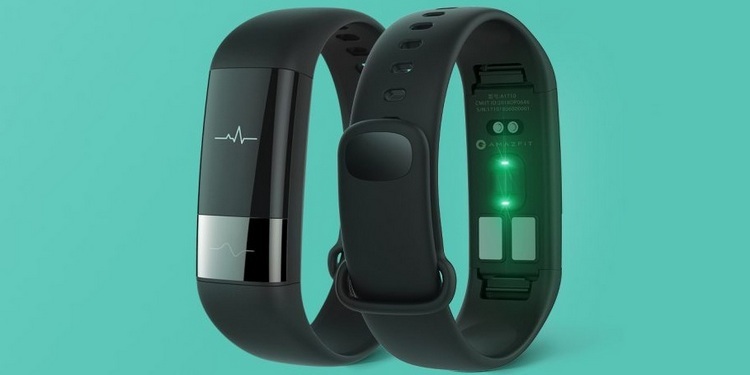 As mentioned already, it comes with an optical heart rate monitor (PPG), while other sensors include an accelerometer, ambient light sensor, gyroscope, geomagnetic sensor, air pressure sensor, NFC, GPS and GLONASS. The Amazfit Verge carries a 390mAh battery that the company claims is good enough for up to 5 days of usage on a single charge. It also comes with an IP68 rating that denotes resistance to dust and water. There are 11 different modes for activities and 13 built-in watch-faces, three of which have reportedly been designed in partnership with graphics and user interface design experts, Territory Studio, which is best known for its work in blockbusters such as Guardians of the Galaxy, Ex Machina and The Martian. While NFC support is exclusive for the smartwatch, the Health Band 1S includes the ECG functionality that’s one of the headline features of the recently-announced Apple Watch Series 4. The device comes with an 1.42-inch OLED display of undisclosed resolution, and is rated IP67 for water and dust protection. The 1S supports Bluetooth 4.0 LE connectivity, and can be paired with smartphones running Android 4.4 or later and iPhones running iOS 9.0 or later. The Health Band 1S weighs a mere 10 grams without the wristband, and carries multiple sensors, including an optical heart rate monitor (PPG), a low-power accelerometer, as well as an ECG reader. It is powered by a 95mAh battery that the company claims will deliver up to 7 days of battery life. Last, but definitely not the least is the Huangshan No. 1 that the company claims is low on power consumption but high on performance. 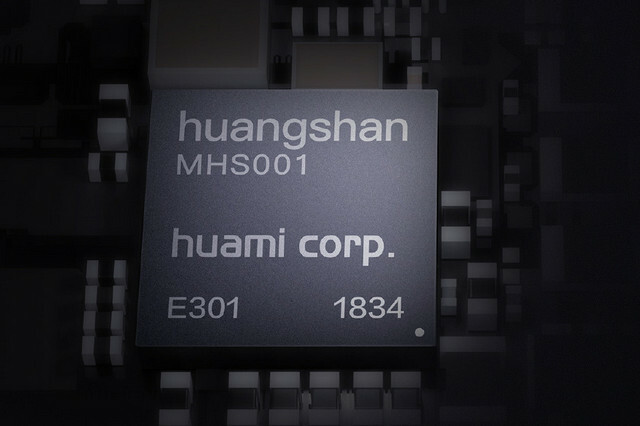 It has an integrated AON (Always On) ultra-low-power data collection module that Huami says can automatically transfer sensor data into the internal SRAM for faster and more stable data storage. The processor is manufactured using the 55nm process and is clocked at a frequency of up to 240MHz. It will start shipping in the first half of 2019.